C++, Unity or agile development aren’t words you’d expect to find in Barbie’s vocabulary, but the well-heeled doll is always re-imagining herself, this time as a game developer. 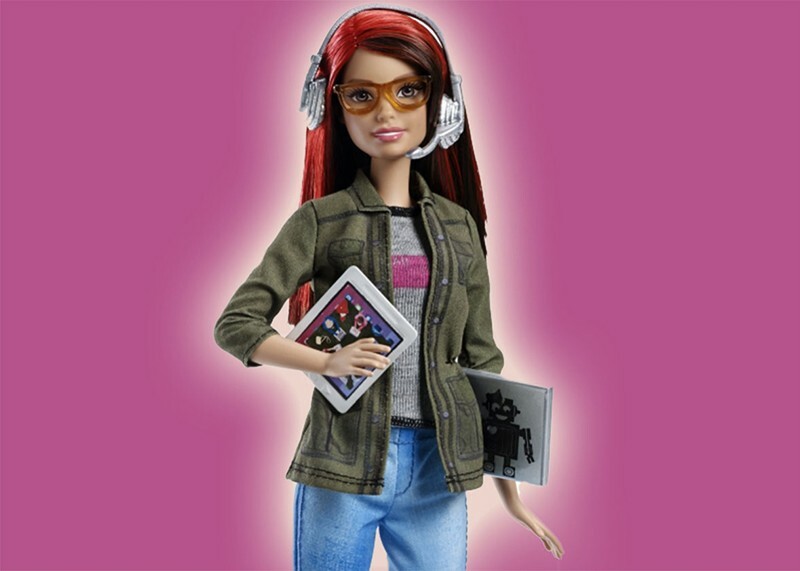 Game Developer Barbie is the real deal: no pink laptops here. Only programming books, flowcharts and noise-cancelling headphones in her workspace, as well as the life-giving elixir of developers and parents alike: coffee. As for fashion choices, Barbie sports jeans, a pair of trainers and horn-rimmed glasses. Computer Engineer Barbie came out in 2010, and while it seemed her very existence should be a positive step towards representing women in technology, her accompanying book attracted the wrath of the internet. This Barbie was actually very bad at being a computer engineer. She gave her and her sister’s laptops viruses, and deferred to male classmates to actually build the game she was designing. Sure, development always benefits from teamwork, but this situation only props up the gender myth that in the world of technology, girls need boys to come to the rescue. The book was taken out of print, and Mattel promised more empowering versions of Barbie in the future. Game Developer Barbie is just that. She’s part of a wide universe of possible careers for women, and helps girls realise that they can be whatever they want to be.